If you're familiar with Joaquín Sorolla's work, you likely hear his name and think of beach scenes, paintings of summertime settings, the Mediterranean as a stage for the Valencian painter's works. But this exhibiton brings together 35 paintings of inland landscapes that leave an impression of quality and importance. The exhibition is divided into four sections: Sorolla's Valencia; Sorolla in green and grey; Castilla as a national emblem; and Joquín Sorolla's España Blanca, a modern version of the romantic invention. 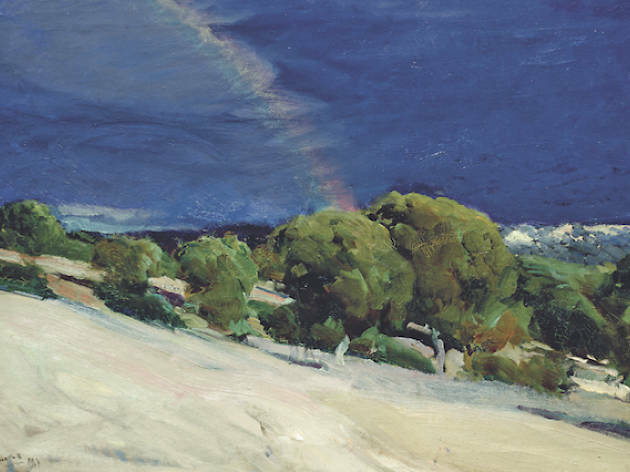 If there's one thing that identifies a Sorolla it's his outdoor scenes. 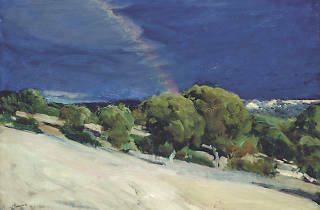 Far from Levantine beaches, his brush also captures the light of Valencian interior landscapes, as well as the greys and greens of the Cantabrian coast, the austerity of the Castilian landscape and the authenticity – or the search thereof – of Andalusian lands.